Well ,,,, I'm impressed Further North of Center.... 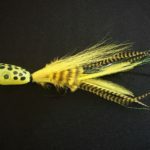 I still have all the accoutrements for fly tying, but alas, I'm busy busy manufacturing cartridges for rifle and pistol... one must not make a faux pas while in the process of production. I appreciate the compliment, but that is about the easiest fly to tie, ever. I'f a pause for a sip between steps, I might be able to stretch that one - with the add on legs - out to 6 minutes. Really interesting information about the sights. I was unaware of that configuration. Thanks Superposed. IMHO: It doesn't take much of a shooter to hit your target with a scoped rifle shooting off a bench, stick, tripod or sandbags, etc. Shooting 100 yards off hand will seperate the men from the boys. 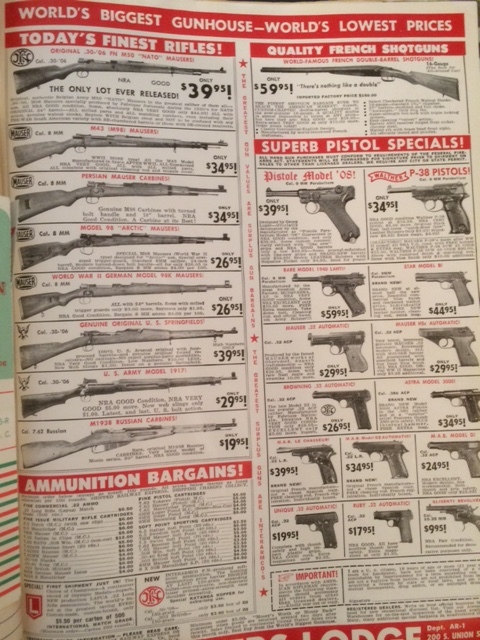 Don't know about the men-boys separation, but I do remember how, in the summer of 1953, at ROTC Summer Camp at Ft. Lee, VA, we shot the M-1 Carbine offhand on the 100 yard range. I fussed at my handler after firing several shots where the spotter had marked them in the 9 ring, and when he raised the target, he had not moved the disc. Later, in the mess hall, he came up to me, handing me the disc with the peg still in it - he said something like "Good Shooting!" I looked at the disk and it had maybe 5-6 holes where the round had hit the disk. So, he never moved it. I had never adjusted the sights - don't even remember if you could adjust them on the carbine. I saved that disk for a long time, but it's disappeared now. Obviously, the carbine was lighter than the M-1 Garand, which I never fired. A fun memory going back 9ver six and a half decades. I used to shoot with a couple of guys who had pretty advanced collections. One of them let me shoot an SS marked 98k that was the best shooting Mauser I ever fired. I have a Turkish 98 that's a lot of fun to shoot but it's a little longer and heavier that the 98k with a little less felt recoil. The Lee-Enfield is a great rifle too with different sight options based on the variations. I believe the WW1 version had open leaf type sights with the WW2 and later guns having peep type battle sights. If you ever get the chance to attend the Knob Creek Machine Gun shoot they have a huge gun show with every type of military weapon imaginable. Everything from Civil War era weapons right up to the modern stuff. Just be sure to take hearing protection as it gets quite loud if you get anywhere near the firing line when it gets cranked up. 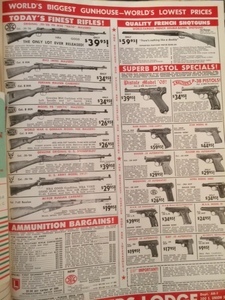 Lot's of vintage parts and accessories to look at in addition to the guns. 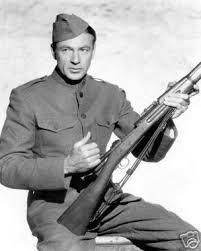 Gary Cooper .... Sgt York. about 2 minutes of the film, Cooper is rolling up the flank of the German line, watch it carefully, they use this for training of the 03. Someone knows how to operate 03. These components and this load performed well and safely in this particular rifle. Because of variables in your reloading equipment and technique, in your firearm and in your local environment, you may experience other results, including higher pressures that may be unsafe. Always start with the manufacturer’s recommended starting load listed in their reloading manual.